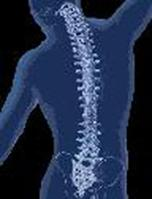 Carol Scicchitano is a chiropractor in Westbury, New York (NY) at Westbury Chiropractic Center. Dr. Scicchitano provides personalized health and wellness care for the entire family at her state-of-the-art practice. She can effectively treat neck and back pain, sports injuries and headaches in Westbury, New York (NY) using the most advanced methods and technology. Her goal is to get patients out of pain and on with their everyday activities as quickly and safely as possible. For an experienced chiropractor in Westbury, New York (NY), please call Dr. Carol Scicchitano at Westbury Chiropractic Center and make an appointment today. As the leading chiropractor in Westbury, New York (NY), Dr. Carol Scicchitano is dedicated to providing the highest quality chiropractic and wellness care available. Dr. Scicchitano has extensive experience treating individuals with a wide range of acute and chronic conditions. She takes time with each patient to discuss what is bothering them and what the best treatment options would be for their unique situation. Those suffering from headaches, sports injuries, neck pain or back pain in Westbury, New York (NY) can find the help they need from Dr. Carol Scicchitano at Westbury Chiropractic Center. I have never been to a better Chiropractor then Dr. Scicchitano, She has helped me with my neck and back problems. I was in two different car accidents within almost a year of each. I knew that with her I would be able to get back to the way I was prior to them. I was correct. I have moved out of state and I miss her so much. besides her being a Dr of Chiropractic I feel I had gained a friend. If you are looking to get the Wellness you so deserve please set an appointment up with her and let her help you. I visit Dr Scicchitano regularly for 3 years now. I never had a problem with her. My pain can be reduced after each visits. She pays close attention to my health and teaches me spinal knowledge to correct my wrongdoings. It was very easy to get an appointment. They have a very flexible schedule and get me in quickly every time. The restrooms at this provider's office were clean and well-maintained. You could tell that they cleaned them regularly. The one thing that I really enjoy about this place is their high level of customer service. Their full attention is always on me and they never take personal calls during my appointment. I've been to other places that answer their phone and it just drives me crazy. They always dress so professionally here, the entire staff obviously makes an effort to look their best and maintain a very professional appearance. I didn't feel any numbness after my visit. They always take good care of me. It has been so refreshing to deal with someone so knowledgeable and well-informed not just in her field but in many fields. The consultative approach and care Carol has shown is second to none. I entered the office not knowing where I was heading and wondering what could be done to relieve my pain and now I know exactly what has to be done and have a clear path to a healthier spine and overall life. Knowing that I will be getting such good care is comforting to me and knowing that the Dr actually cares is a pleasant change for me.